This set contains 24 brightly coloured pieces that can be built into a wide variety of elaborate constructions. Marbles race through a maze of cylinders spinning wheels, chutes and bridges, roll out at the bottom ready to start over again. 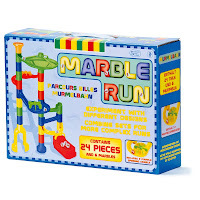 The Marble Run is a really enjoyable activity and kept my 4 year old nephew entertained for a good couple of hours. Although it is recommended for 5 year olds, with some help it was easy enough to put together and as he gets older we can buy more pieces to add to this set for him to make more complex runs. The pieces are well made and fit together well to give you a stable structure. 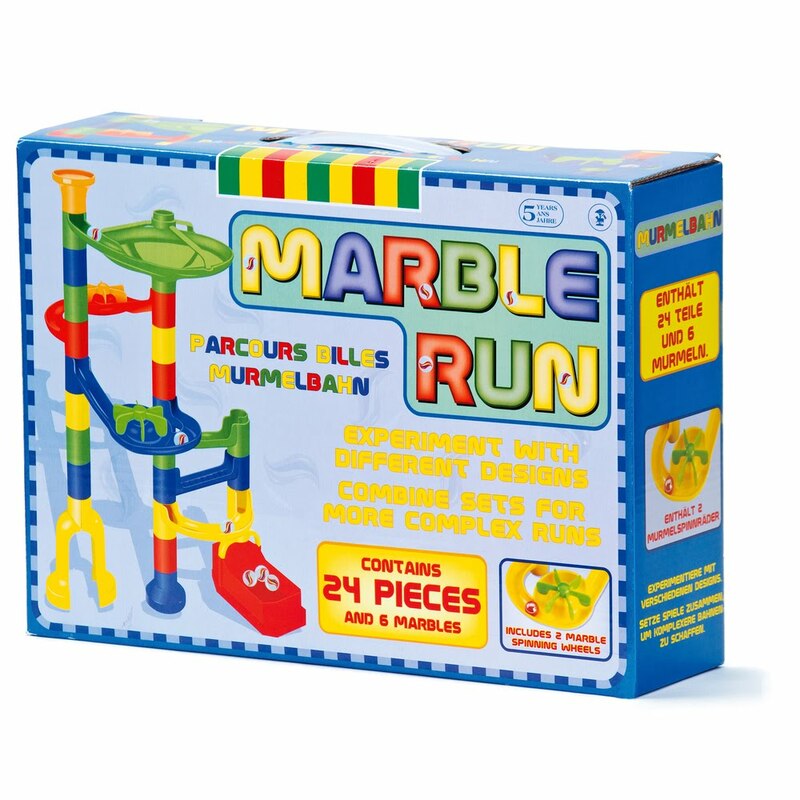 It also has a couple of examples for Marble runs on the box. I would highly recommend this kit, as it's a good way to get your child thinking, but having fun at the same time. Younger children will love building runs with your help, and then will be fascinated watching the balls whizz down whereas slightly older children will enjoy making new slightly more advanced designs and testing things out for themselves. This kit should provide a lot of entertainment. How Much Is It? 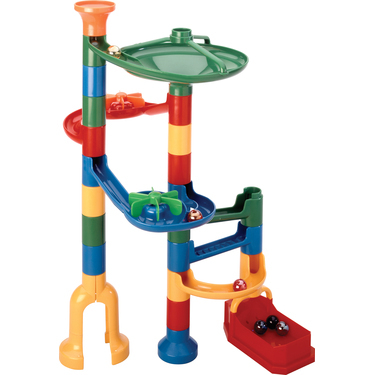 - The Marble Run is available from www.toyday.co.uk and cost £14.99, which is a reasonable price for the amount of pieces you get. There are also lots of different coloured and sized marbles on the website so you can add to your collection.